What is A Casino "Skin"? - Casino Answers! Casino Answers » Casino Beginner Questions » What is A Casino “Skin”? What is A Casino “Skin”? A casino skin is, to put it simply, a similar idea to our skin. On the inside, we’re all the same and our skin covers us and determines how we look to other people. This is the same for online casinos. A majority of online casinos use a small amount of software. You see, there are a few large companies, known as “software providers” that do exactly what their name suggests: they provide a potential casino with the software to for their casino for a fee. So, the casino is starting to take shape, as the have the software, but how do they implement it? Well, that’s where the skin comes in. The company will have software that is being used by a lot more casinos on the internet, so they need to stamp their mark on it and they do that by creating a skin for it that incorporates the company’s branding and how they company want their casino to feel and play. It’s not an exact science and there are casinos using the same software that are polar opposites in terms of look, feel and usability. Again, going back to the example of people – we all work the same way and have the same features (more or less), yet we all look different and have a unique identity. It’s the same for online casinos. There aren’t that many software providers out there, so we can look at some and you can see for yourself how different they look. Playtech: Playtech provide software to a lot of casinos and if you cpm[are them, you can see that the bones of the casino are the same, it all works the same, yet the look is different. Yes, the tables aren’t dramatically different, but the lobbies (or the face of the casino) looks totally different. Playtech is definitely one of the most renowned companies in the industry. Microgaming: Microgaming, much like Playtech, provide software for a huge amount of casinos and again, it means you can see the differences between the casinos. The likelihood is that you’ve played at a couple of Microgaming casinos, thought they played the same, but looked totally different. As of this writing Microgaming offers over 600 casino games and guarantees two all-new titles each month. Real Time Gaming: Real Time Gaming is another big software provider and one of the oldest skins out there as they have been operating since 1998. RTG offers both downloadable software and stand-alone browser software. They have experienced tremendous growth in their history and only continue to do so. Net Entertainment: Net Entertainment or NetEnt is one of the biggest providers out there today. The pioneering open-source company was one of the first to use Java back in the 1990s. They are an award winning company with some of the top-rated slots in the industry that are known for their excellent 3-D graphics. NextGen Gaming: NextGen Gaming also known as NYX Gaming offers gorgeous mobile and online games. They have over a decade’s worth of data at their disposal which they have used to perfect the playing experience. EGT Casinos: EGT or Euro Games Technology opened in 2002 and has become one of the fastest growing casino providers out there today. While primarily working in land-based casino games, they also offer games for online play. Aristocrat: One of the top companies for land-based slot machines and their online counterparts. Odds are you have played one of their classic games like Queen of the Nile or Where’s the Gold?. Crypotlogic: An industry original as they have been going since 1995. 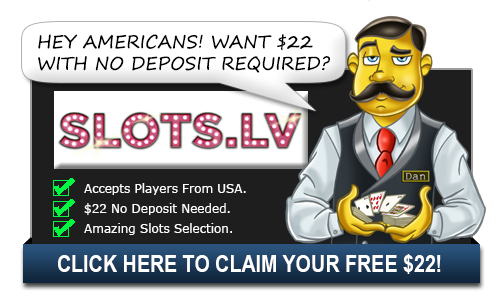 They offer extremely reliable software and were actually sold to Amaya Gaming in 2012. If you have ever played a comic book themed slot, it was most likely the work of Cryptologic. There are other software providers out there and their clients all do the same thing: they make their casinos look different from their competitors by putting their imprint on the casino skin. So, that’s what a skin is – it’s the front end of a casino and gives it is look. Why do casino companies use them? To put their brand on the casino software and to stand out from the competition. Remember, if all your competitors are using the same software, it’s important for you to stand out. I know I prefer playing at a casino that looks cool. There’s nothing worse than playing on a horrible skin, when it comes to playing at a casino. If it doesn’t look nice, I’m not interested! Well, unless there’s a great bonus being offered, then I’m happy to play at any casino out there. Why do casinos have the same games, but look different? Why do casinos have different skins? What makes online casinos look so different?